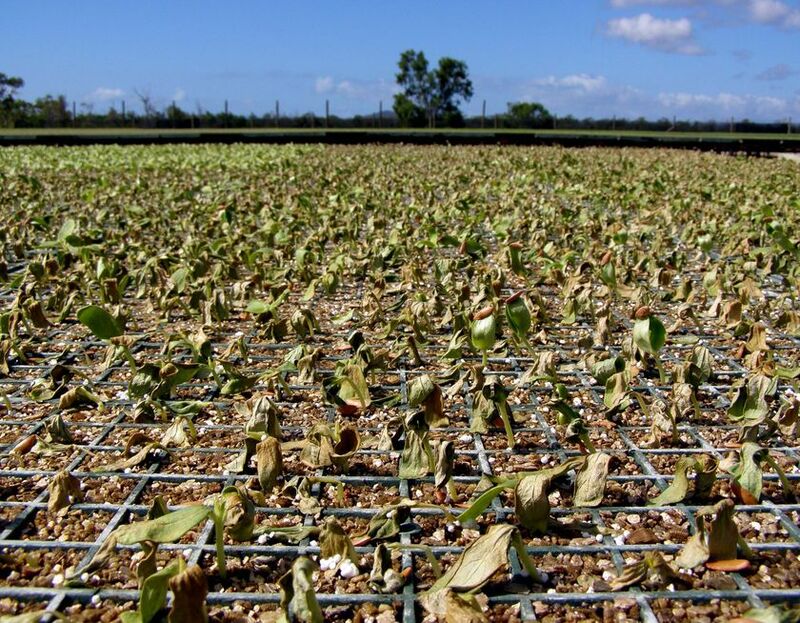 The search continues for the person or persons responsible for poisoning 7 million tomato seedlings, and nearly 16,000 tomato plants near Queensland, Australia. The 16,000 tomato plants were fruiting and about to be harvested when the poisoner struck, destroying 40 tonnes of produce. A numbers of capsicums, watermelons and eggplants were also killed as well. The saboteur poured an herbicide into the farms water supply. Two neighboring hydroponic farms were directly affected by the poisoning, Donnelly Farming (growers of hydroponic tomatoes), and Supa Seedlings (a large seedling grower). The poisoning of the water supply caused both farms to loose their entire crops. Even though only two farms were directly poisoned, the effects reach much farther, hurting about 30 of the areas 40 district’s farmers who had pre-ordered plants for planting and had them all wiped out. Many of the local growers rely on these seedlings for their plants. The Queensland area is the largest producer of fresh tomato’s in Australia, and supply’s major city markets like Sydney, Brisbane and Melbourne, along with many smaller markets. 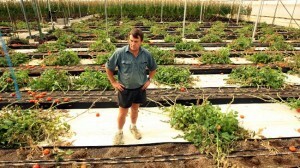 The region grows 80% of the Australia’s September tomatoes. And with such a large percentage of the nations fresh tomatoes coming the Queensland region, the sabotage is likely to have nationwide consequences, resulting in spiking supermarket prices. 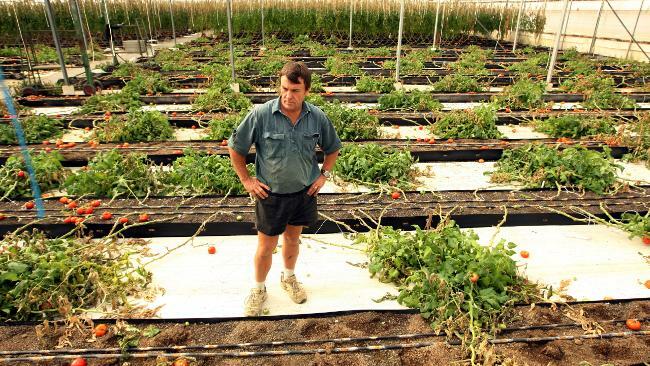 In 2005, Queensland produced nearly 86,000 tonnes of tomatoes worth about $90.6 million dollars. But the cost to the region goes far beyond just the cost of the plants and rising tomato prices. Many farms that were expecting to be growing plants had to lay off workers, as well as company’s that expected to be picking, packaging, processing and even shipping the produce to markets were all heavily affected by the poisoning. The estimated cost to the region could climb to as much as $50 million dollars in reduced spending. The Queensland’s Health department says that tomatoes from both of the property’s have been tested, and have been found safe for consumption. The tomato’s had no residue of herbicide that could be detected. They also said that they will continue to do testing for future crops. Although there are concerns about health implications because the poisoned water is also a part of their household water supplies as well. The poisoning occurred in late June of 2010. Both of the affected properties use water from the same holding tank, and it’s been established that the herbicide was introduced into the water supply that both properties draw water from. Police are suspecting that the sabotage was an inside job because it had to have be done by someone with an intimate knowledge of irrigation systems. There are a lot of area farmers who have access to that creek, and a large number those farmers also draw water from the same creek as well. So it obviously had to have been done by someone that knew the area well, and how the pump systems worked. The saboteur/s snuck into the pumping station and injected a large amount of herbicide into a pipe system when the pump was engaged. From there the poisoned water went into the main lines that supply both of the property’s. Police have little to go on, but say they are determined to find the culprit. They have assigned a team of 12 investigators to the investigation. They are also offering a $200,000 reward for information leading to the arrest and conviction of the perpetrators. It’s rumored that police are receiving numerous tips, but they aren’t saying if any of them are panning out. They don’t want to speculate but have said all along that it could be as simple as just plane vandalism to someone that has a grudge against the farm, and/or even a attempt to influence the competition or markets. It’s also not the first time farms in this the area have been targeted, this is actually the third time crops in the region have been poisoned. In 2002, another Queensland Seedlings Nursery, just about a 10-minute drive east of where this year’s attack took place, was also targeted. 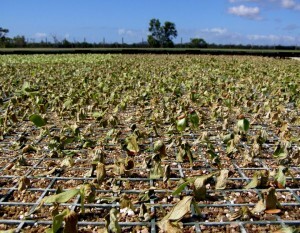 That time resulted in about $6 million dollars worth of losses in seedlings. And in July 2006, as much as $1 million dollars worth of crops were destroyed when a poison was put into the water tank of an aerial spraying contractor. Naturally with so much financial damage, and with so much pressure to find the culprit, there’s naturally a lot of anger, as well as finger pointing, gossip and rumors. Things have even gone so far for one man that has had his neighboring farm raided by police, that he has felt the need to hire a public relations firm to speak out in behalf of his innocence after receiving threats. What’s the world coming to where anybody would want to devastate so many lives. I just cant imagen what’s going through their mind, or how they could even live with themselves after doing such a thing. The scary thing is how such a simple act of putting something in the water supply can cause so much damage, and put so many lives at risk. Not to mention how easy it is to do and go unnoticed. I guess we can all learn something from it though. There are people out their that have no conscience, and sadly that’s the reality. And with all the other things there is to worry about, we have that to worry about now too. Gone are the days where we could just trust people.